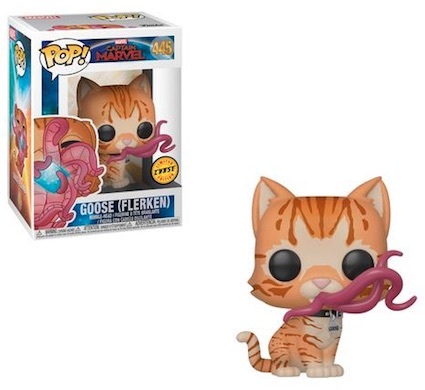 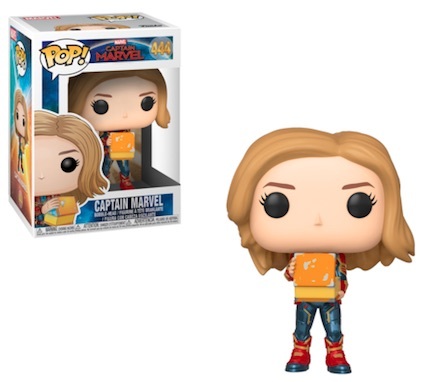 Product DetailsPerhaps indicative of the excitement and expectation for the 2019 film, the Funko Pop Captain Marvel movie set kicks off with a massive wave of vinyl. Naturally, the Captain Marvel, played by Brie Larson, is featured in several poses with multiple exclusives to chase down. 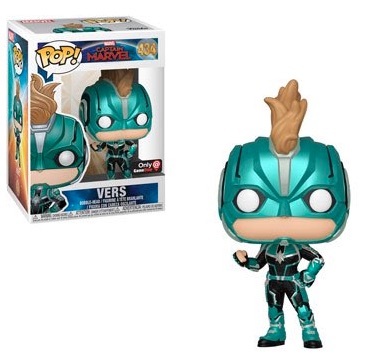 This includes her Starforce persona, Vers. 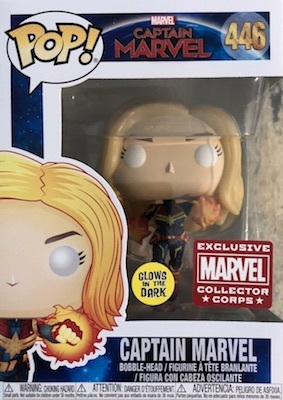 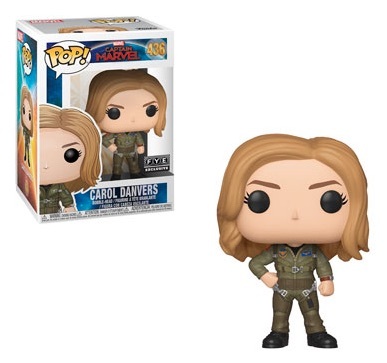 Captain Marvel's real-world identity as fighter pilot Carol Danvers is also covered via an FYE exclusive and a Pop! 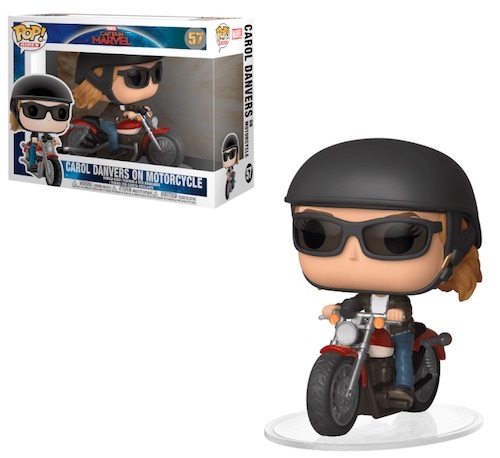 Rides motorcycle edition. 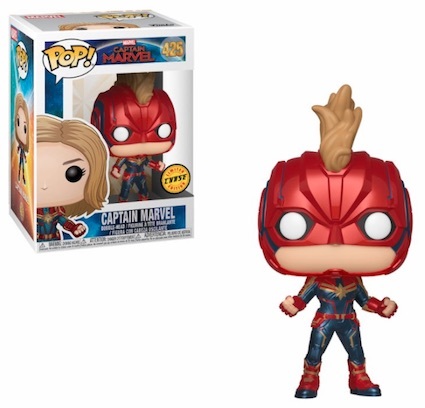 Shop Funko Captain Marvel figures on Amazon. 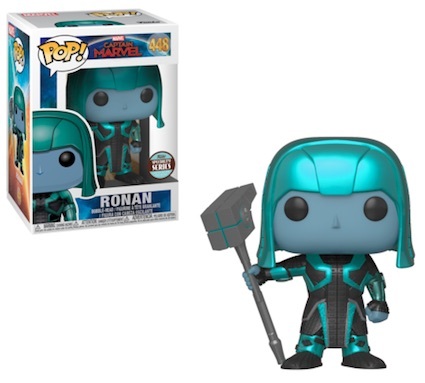 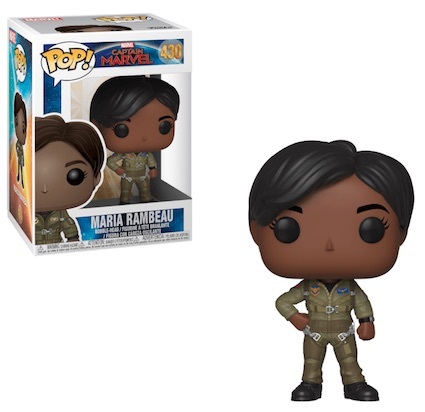 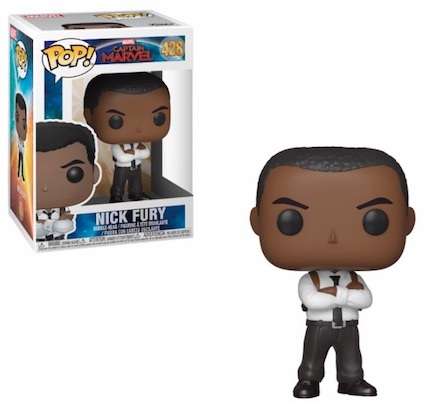 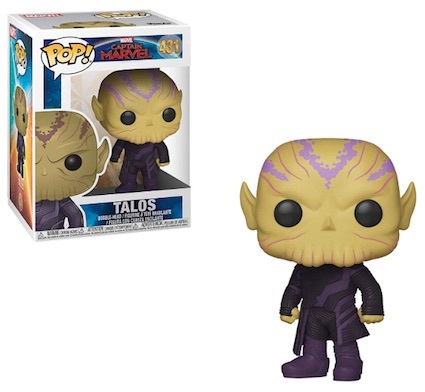 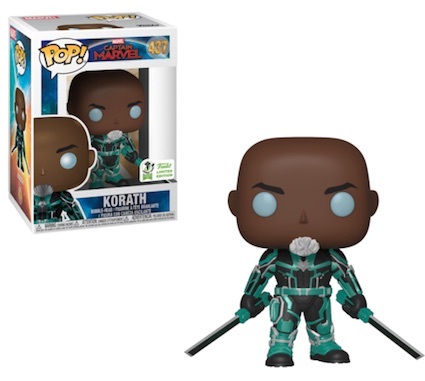 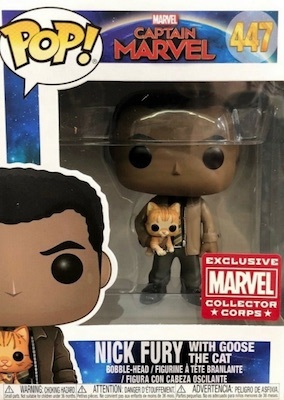 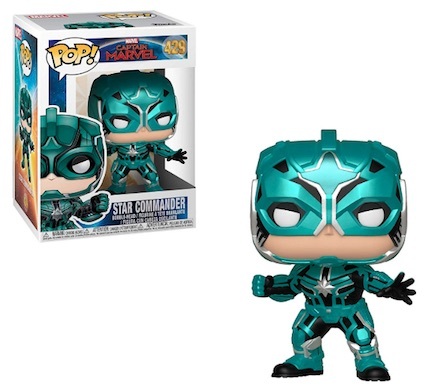 Joining the heroine in the Funko Pop Captain Marvel movie line, collectors can add Maria Rambeau, Nick Fury (Samuel L. Jackson), Talos, and Jude Law as a masked Star Commander. 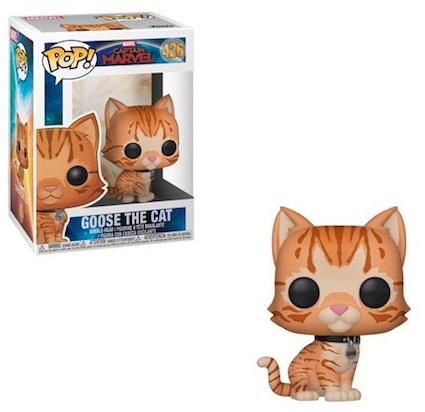 Danvers' cat, Goose, is named in honor of the Top Gun character. 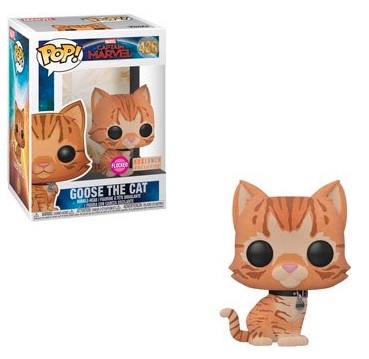 The furry feline has a flocked vinyl at BoxLunch, as well. 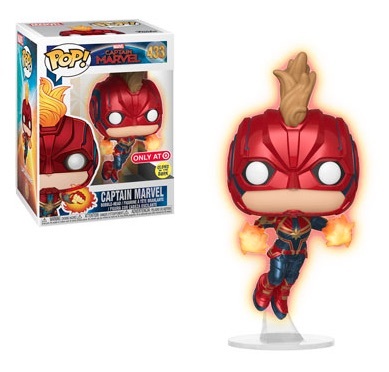 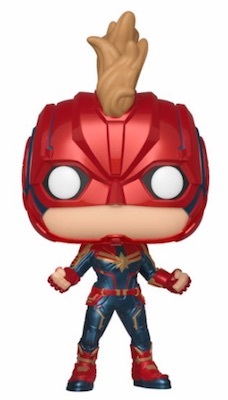 It would be shocking if there aren't more Funko Pop Captain Marvel movie figures in the future, so let us know if you spot anything that we are missing. 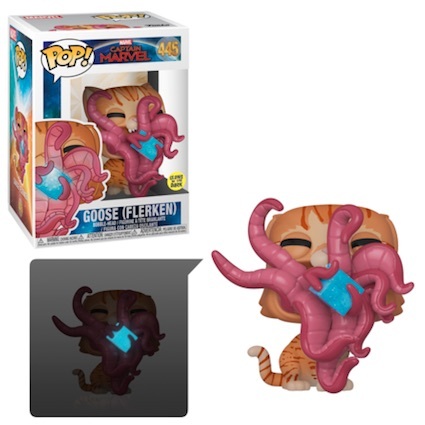 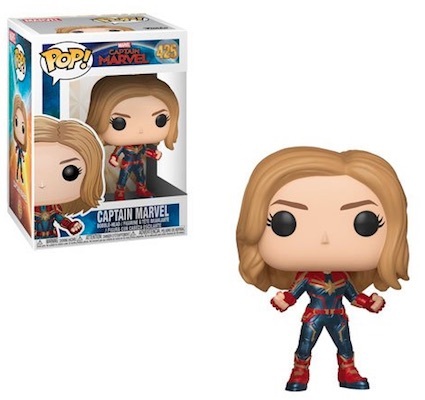 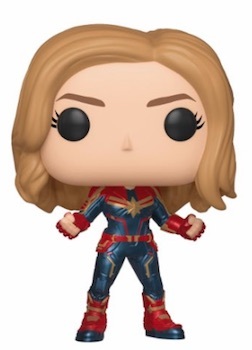 Funko Pop Vers Captain Marvel Series #427.